Laser cut metal with Sculpteo’s online laser cutting service. In our quest to provide access, online, to the Factory of the Future, we decided four months ago to launch our laser cutting service in addition to the online 3D printing service. The purpose is to allow you to combine the best of the two technologies for your projects. Whether it is for 3D Printing or for laser cutting, we are constantly seeking new materials to expand our offer. We unveiled at CES 2017 our new metal 3D printing offer, with stainless steel, aluminium and titanium. We are now launching laser cut metal! With our 3 new laser cutting materials: steel, stainless steel and aluminum. For us, 2017 is the year of metal digital manufacturing. Laser Cut Metal is now live! In July 2016, we were announcing the launch of our laser cutting service in a beta program. Two months later, it was time for laser cutting to be available for all our customers, with more than 60 types of our 4 main materials: acrylic, MDF, cardboard and plywood. Since then, we’ve been expanding our offer to other materials, thickness and colors. After our technical thermoplastic POM, we are now proud to announce the laser cut metal materials! Metal is only the logical follow-up to widen our catalogue of over 65 laser cutting materials. With metals, we allow the completion of technical and engineering projects. 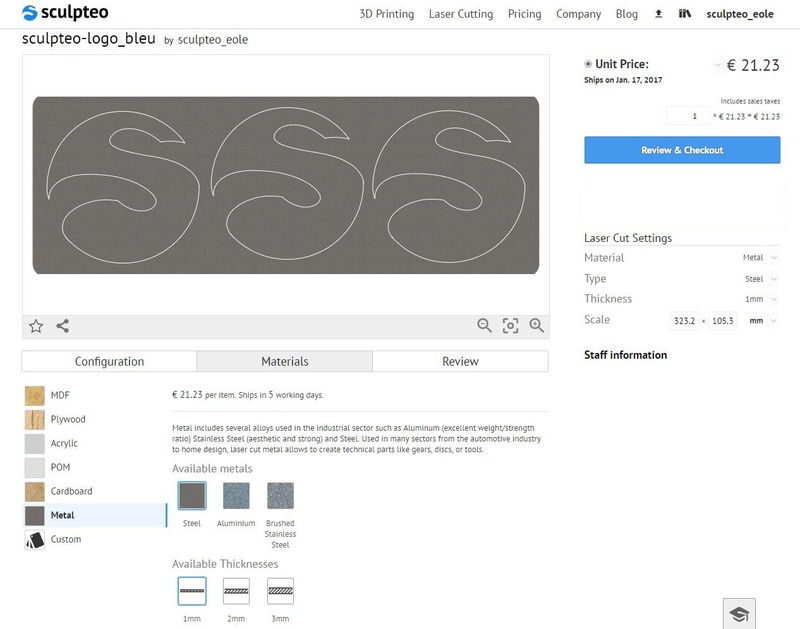 Accessible everywhere in a few clicks, you can now choose among 3 specific metals for your laser cutting projects. We made the choice to add the most used and requested materials in our offer: Aluminum; Stainless Steel and Raw Steel. 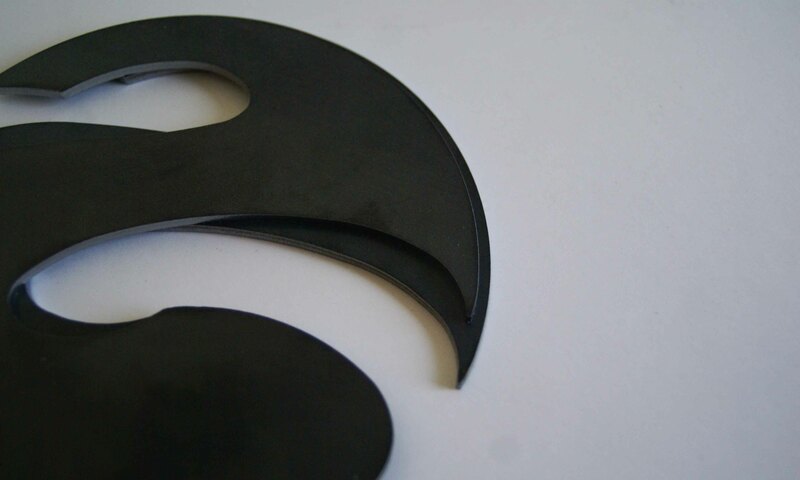 You can find them on our platform and in our laser cutting material page. This very light material is ideal for many technical project that needs an excellent strength/weight ratio. It is used in sectors like aerospace, automotive and transportation. Aluminum can also serve as aesthetic parts as its surface is slightly shiny and polished. It is one of the most used metallic materials thanks to its light weight and its very good mechanical properties. The surface is relatively shiny and offers great possibilities for aesthetic objects. 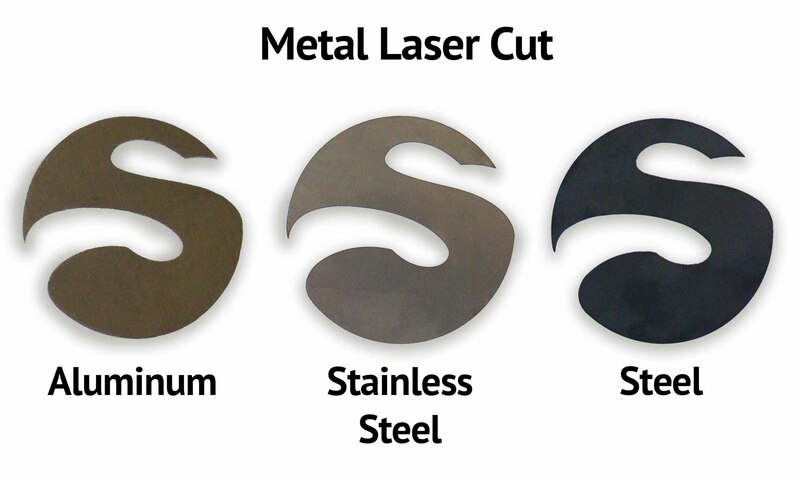 Since it is standard in many industries, we decided to add Stainless Steel to the list of our laser cutting materials. Stainless Steel is weather resistant, suitable for many outdoor uses and has an excellent solidity. The main advantage of this material is that it does not need a rustproof treatment so it can be used in water-exposed environments without worrying about rust. It makes the material suited for hygienic uses in the food industry, for example. It is also often used in architecture, engineering objects or for various tools. Steel is particularly solid thanks to its content in carbon. This material is widely used as a structural material. The main industries that are using steel are construction, automotive and the energy field. For its characteristics, steel is used as a reinforcement material for structural components. It has very good mechanical properties: strength, toughness, ductility, weldability and durability. However, raw steel is not as resistant to corrosion as stainless steel. To learn more about each material, you can check our material pages. At Sculpteo, we already started using laser cut metal for a big project you may have heard about: the #SculpteoBikeProject. This project is conducted by two of our designers Alexandre d’Orsetti and Piotr Widelka. 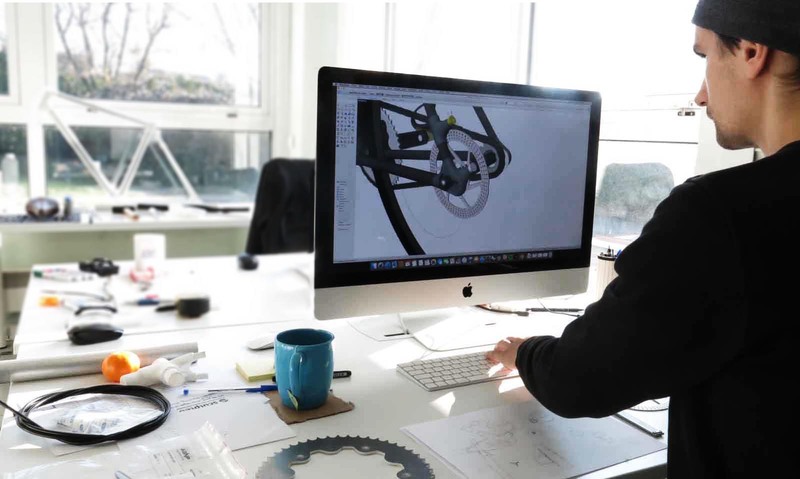 They created the first ever functional bike using digital manufacturing. It was built over 7 weeks, and is meant to be continuously improved, especially during its big trip: to test it out, the designers are going on a 1,000 km trip from Las Vegas to San Francisco on the bike. They used both 3D printing (metals, polymers, carbonmide…) and laser cutting (metals, leather…) for the Sculpteo Bike Project. 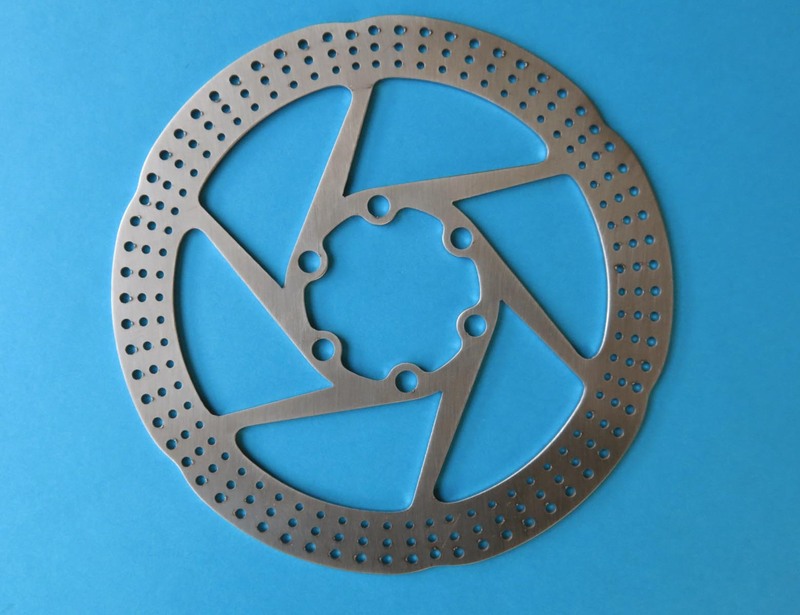 Metal laser cutting was used by the designers for cogwheels, brake discs and crank. Using laser cut metal was part of the logical process to obtain very precise, strong and customized parts they can iterate and adjust very fast. You can learn more about the Sculpteo Bike Project in this article or on the Sculpteo website here. As simply as our other materials, you can choose between aluminum, stainless steel and steel on the platform. You first have to upload a vector file that contains your design. Once you are on the interface, choose what line you want to be cut off and click on the Material tab. In the metal section, you can choose between our 3 new materials for your laser cutting projects. 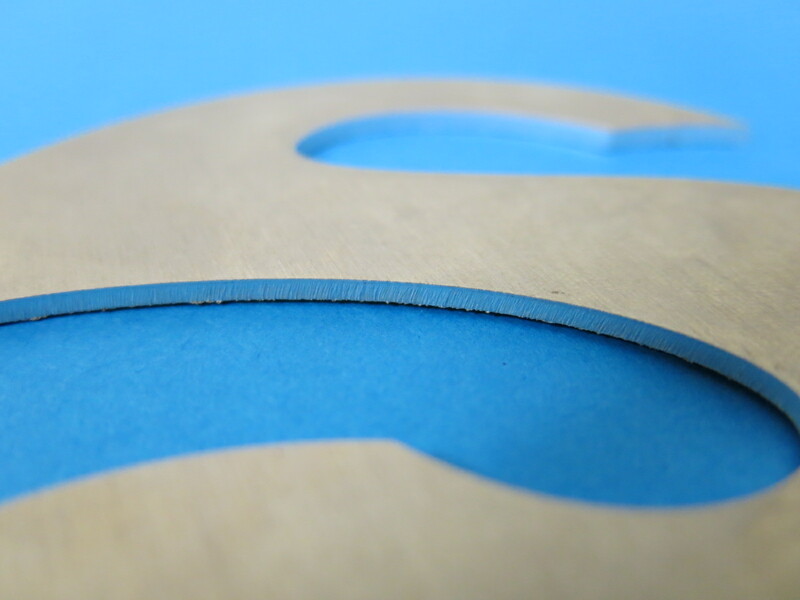 Metals sheet are available in 1, 2 or 3mm thickness, however we can cut thicker if needed. Please contact us for a custom laser cut quote. Maximal dimensions help you to think big! We can cut as big as 1000 x 1000mm. To discover the specific features of each metal material, you can visit our material page. To learn how to obtain a proper vector file for laser cutting, you can check our tutorials on how to prepare your 2D file. If you liked this article, please feel free to share it on Facebook, Twitter and Linkedin.